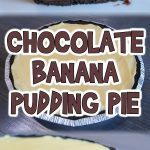 I’m always up for a yummy dessert, and this one is easy to make ahead and perfectly sized for kids! 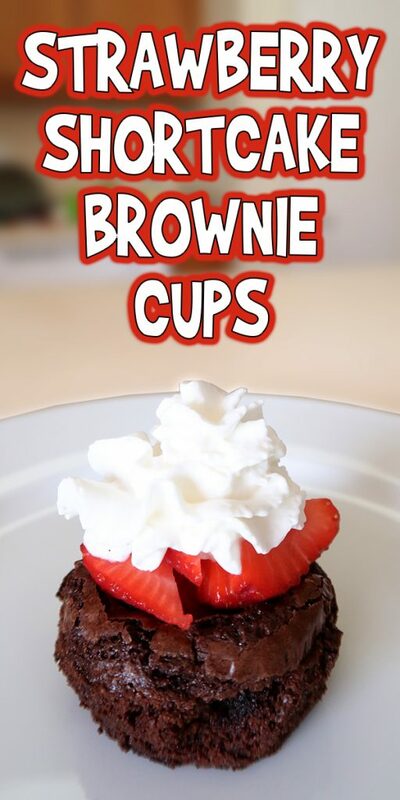 Here’s how to make these delicious Strawberry Shortcake Brownie Cups. Let’s get started! Non-stick baking spray. Or cupcake liners. Ice cream scoop. Or other rounded tool like a measuring cup or melon baller. Basic kitchen supplies such as an oven, measuring cups, spoon, knife, cutting board, and mixing bowl. 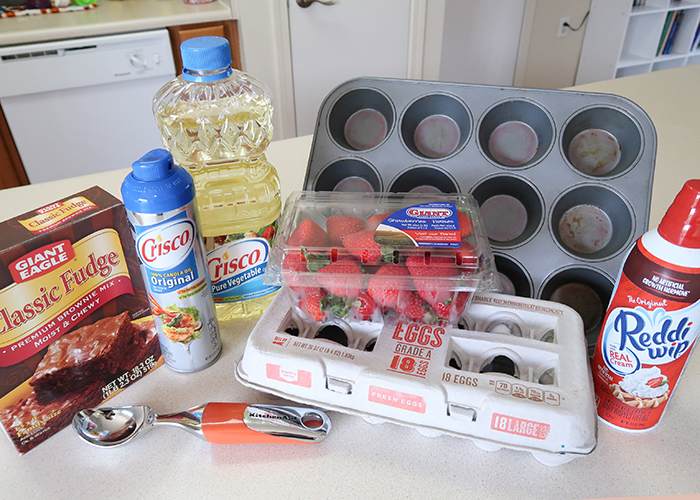 Start by preheating your oven to 350 F. Then mix up your brownie mix according to the package directions. 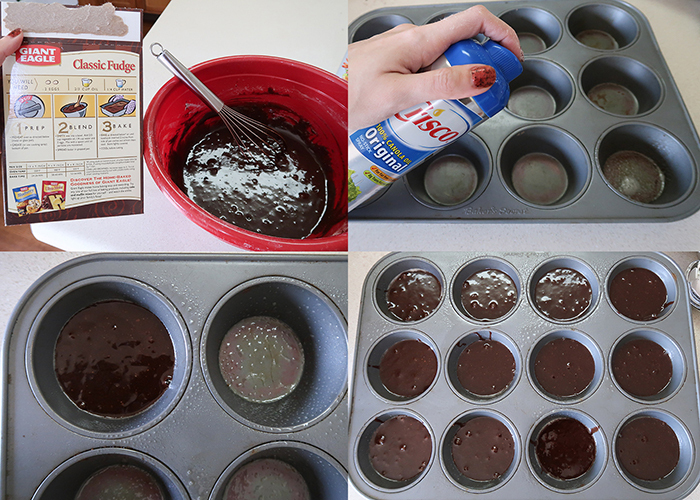 Spray your cupcake tin with non stick spray, or line it with cupcake liners for even easier removal. Fill the cupcake tin with the batter halfway up. Bake the brownies for approximately 25 minutes, checking with a toothpick to make sure they’re done. 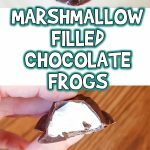 As soon as you pull them out of the oven, use your ice cream scoop or other rounded tool to press down the center of the brownies to create the cups. Let them cool in the pan. 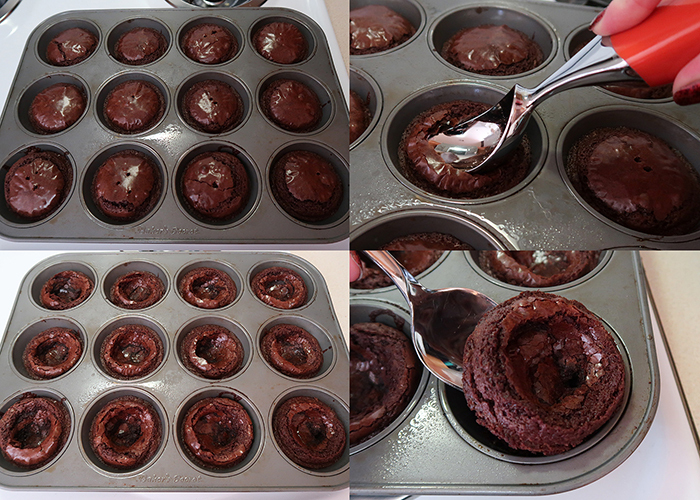 Use a spoon to loosen the edges and lift out the brownie cups, or just pull them out with the cupcake liners. 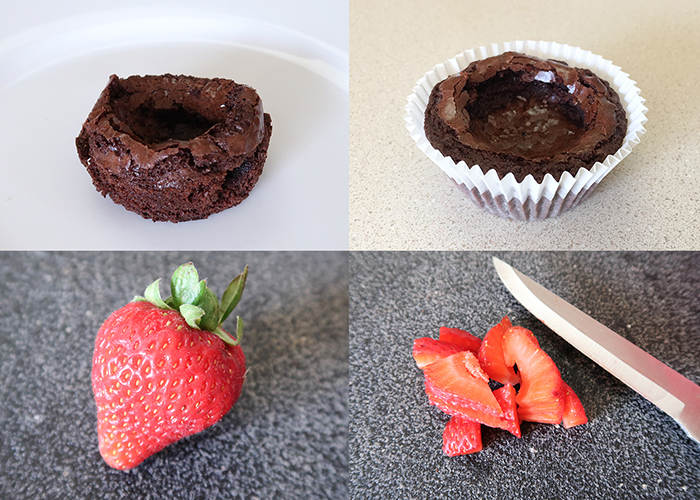 Here’s a brownie cup cooked with non stick, and a brownie cup cooked in a cupcake liner. 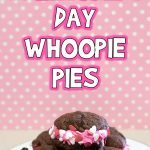 I personally found that I had some breakage and sticking even with non stick spray, so I definitely recommend trying the cupcake liners if the appearance of the dessert is extra important. 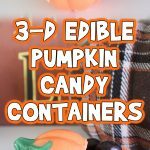 You can seal the brownie cups in a air tight container for a couple days at room temperature. 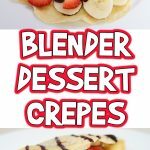 Wait until just before serving to add the strawberries and whipped cream. I just sliced up the strawberry and cut the slices in half so they are bite sized. 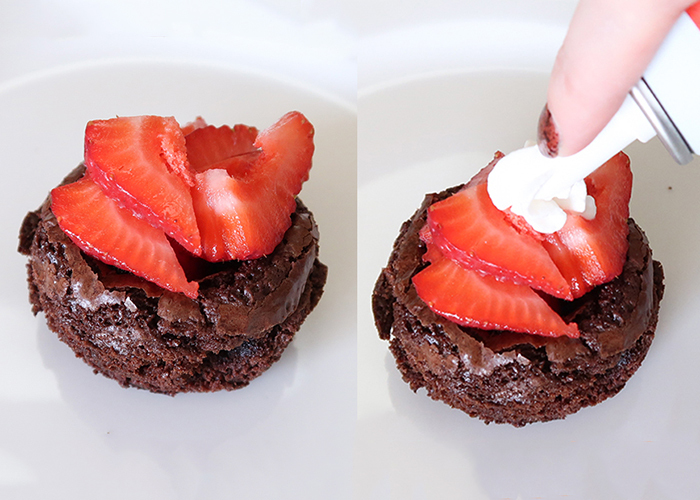 Place the slices in the brownie cup and top with whipped cream. You’re all done! 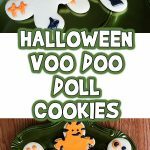 These are great to make in large batches ahead of time and then finish off for a party, or make a small batch for dessert. 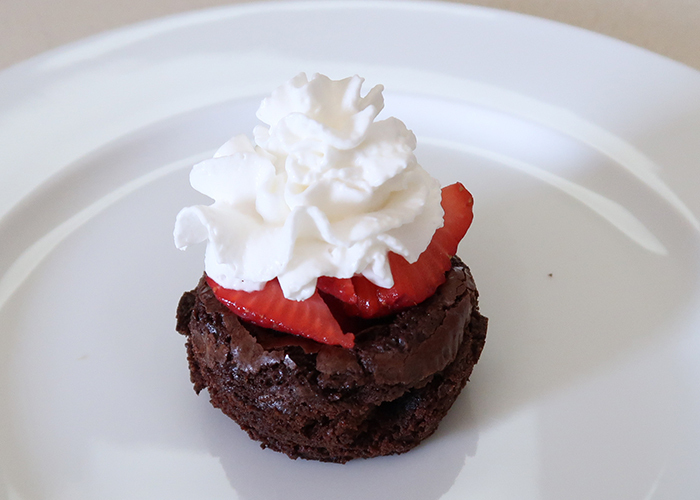 I hope you enjoy making these Strawberry Shortcake Brownie Cups!